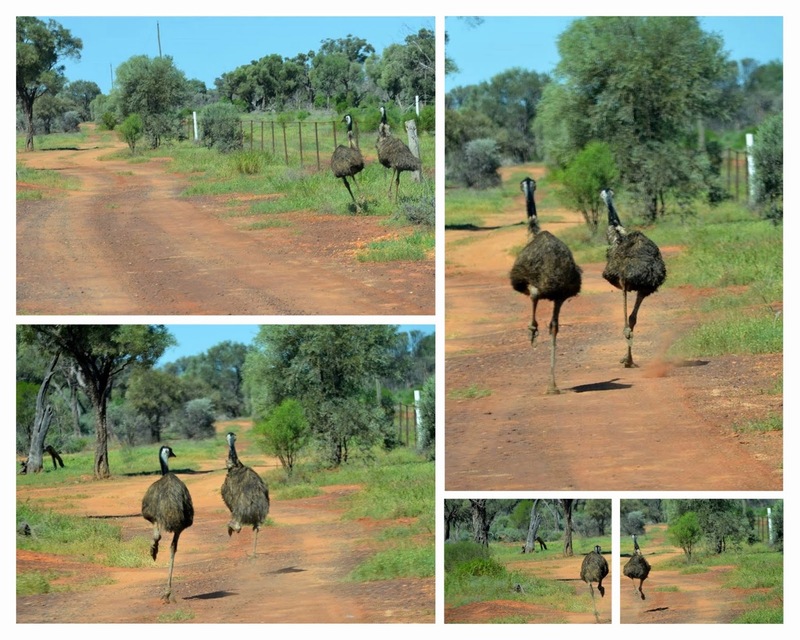 I'd describe emus as flighty - except they can't fly! When we drove over to the fossicking area with Vaughan, we saw these two running along the fence-line. They continued running as we drove closer. Sadly, one kept trying to break through the fence and of course, it was much too large to fit between the mesh. We hung back hoping they'd run straight - and after a while, they did. There are a few small emu groups around Yowah. We regularly see a trio wandering along in the scrub at the back of the house. There is also a Dad with two offspring that we've spotted a few times as well as a very pale, "blondie" bird. I'm sure there are others but it's hard to distinguish individuals.